Some creditors of financially troubled STX Offshore & Shipbuilding are opposing financial aid for the shipyard citing the gloomy outlook of the shipbuilding industry, Korea’s Yonhap News has reported. 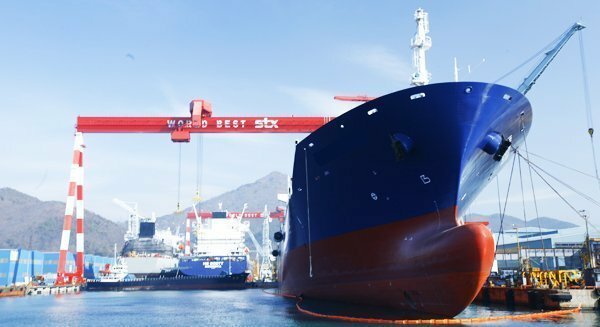 Creditors of STX Offshore, led by the state-run Korea Development Bank (KDB), decided to provide 450bn won ($384m) in financial aid to the shipyard last week in return for a thorough restructuring. However, Woori Bank and KEB Hana Bank notified other creditors that they would not join the plan citing the shipbuilding industry’s worsening business conditions. STX Offshore is expected to receive the financial assistance as planned without the two lenders’ help. In return for the additional financial aid, the business portfolio of STX Offshore will be reorganized to focus on tankers and small-sized LNG carriers, according the report. STX Shipbuilding has been under control of creditors since 2013, and the creditors have provided over 4 trillion won ($3.6bn) to the shipyard.